Seems to be a regular thing of late where smaller releases are being hit with last minute delays on the Xbox One, with the games releasing just fine and on time on other formats such as the PS4. 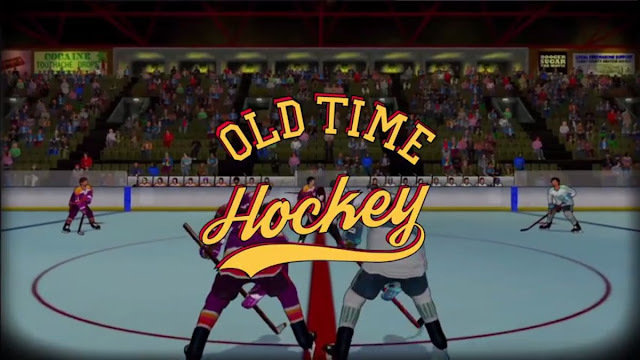 Old Time Hockey saw itself getting a release date of March 28th yesterday evening, but once again the Xbox One version was left out of this release window, with no blog post or email explaining why. Speaking to the team making Old Time Hockey on their Facebook page, they at least cleared a few things up that both myself and many other Xbox One owners looking forward to game would like to know. First off why is the Xbox One missing out on the March 28th release window? With me asking was certification an issue after a few other recent releases were delayed for this very reason. They replied with, "Combination. We are working off a monogame which is open source and we are having to fill in the gaps quite a bit as our game is robust compared to what it traditionally handles". Second question was when would Xbox Owners be seeing the game now? With the press release now having it slated for a Q2 release window (Anywhere between April and June). The came back with "We are hoping within a month if not two from the March 28th release date". The one thing I got out of this yesterday is that the certification process that Microsoft currently has is clearly hurting these small time releases hoping on releasing on all formats at the same time. Ones that jump to mind are the recently reviewed Riptide GP: Renegade (released in June on other formats, we see a release finally on the Xbox One today). Kitty Powers Matchmaker which was coming out on February 14th but we've heard nothing since. Now this added to the list means that something is clearly an issue in the whole process, and it needs to be looked at soon to get it sorted out.